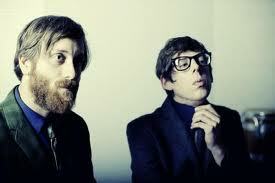 You have a little over 3 weeks to get your Black Keys tickets for their May 16th concert at the Bradley Center, but I wouldn't suggest waiting much longer to get your tickets. Already, the Black Keys have dazzled concert-goers across the nation with live shows featuring their latests hits off their newest album, El Camino. As far as spring concerts in Milwaukee are concerned, the Black Keys at the Bradley Center is a must-see show. As I've mentioned several times before, the Black Keys played last summer at Summerfest at the Marcus Amphitheater and it was one of the best shows of the summer. I'm still sad that I missed that show, but I don't like to dwell on the past. Anyways, go see the Black Keys on May 16th at the Bradley Center. You'll be glad that you did. Arctic Monkeys will be opening for the Black Keys.